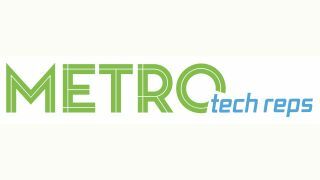 After launching the firm less than six weeks ago, Metro Tech Reps has curated a team of manufacturers with the aim of addressing some of the most common challenges faced by pro AV consultants and integrators. The criteria used was to choose products that meet end user requirements and maintain profitability, as well as to find manufacturers who offer world-class support when there is a problem. Starting immediately, Metro Tech Reps will represent Condeco Software, which develops, manufactures, and delivers integrated room, desk, and collaboration resource booking software and panel display technologies engineered to enhance workspace utilization; LD-Systems, a manufacturer of pro audio installed speakers; Mersive, wireless display provider; and Xtreme Power, manufacturer of UPS and PDU technology. “The New York City metro area is a key geography for Mersive and given our prior relationship with Toby and his track record we jumped at the chance to work with him again,” said Rob Bagley, CEO of Mersive. “When we met with Metro Tech Reps, I realized how they could help introduce LD-Systems to all the ‘sound’ guys that I used to work with, plus many new ones,” said Steve Savvides, president of MDG sales.